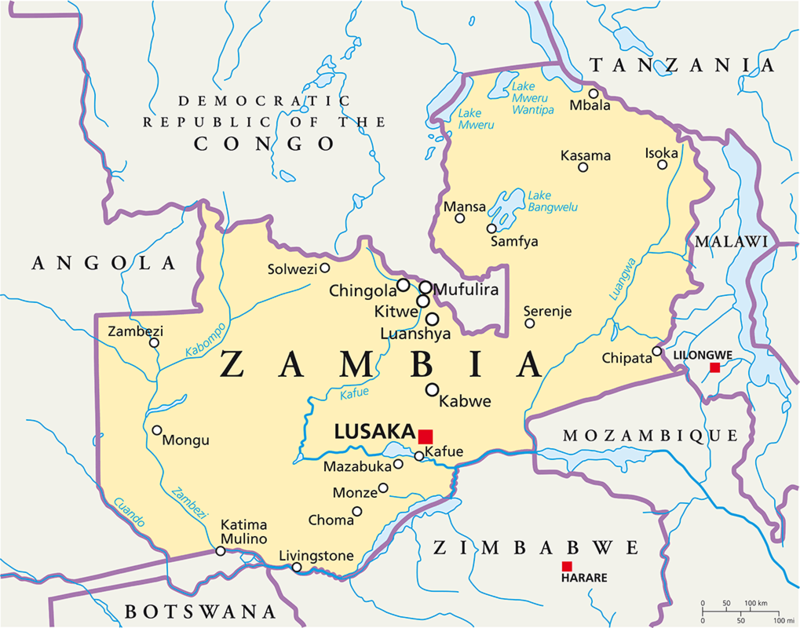 Zambia is a huge landlocked country, sparsely populated, with vast areas of untouched wilderness. It is definitely a country less-travelled and for that reason, we love it. It is known for superb walking safaris and some of the most authentic safari experiences, with incredible game-viewing. Stay in small, luxury camps that offer activities including boating safaris and fishing. There are many highlights, including Victoria Falls, the Luangwa River in South Luangwa National Park, the mighty Lower Zambezi, and the pristine Liuwa Plains National Park in the far west of the country. South Luangwa National Park forms part of the Great Rift Valley, and covers 3,500 square miles. The Luangwa River runs through the middle of the park and its varied habitats, support an enormous variety and concentration of wildlife – lion, buffalo, elephant, hippo, leopard, puku (antelope), and over 400 species of birds. So a birders’ paradise. In the Western Province you’ll find the remote and pristine Liuwa Plains, a vast area of open grassland with excellent birdlife, migratory wildebeest, antelope and predators. Kasanka National Park, Zambia’s smallest national park, is interspersed with lakes, lagoons and marshes, providing the habitat for specialised species such as sitatunga, sable, Sharpe’s grysbok, yellow-backed duiker, and the blue monkey. Again, the birdlife is exceptional. Bangweulu Swamps, part of the Bangweulu Lake Basin, are a watery wilderness north-east of Kasanka National Park. Black lechwe, elephant, buffalo, tsessebe, reedbuck, oribi and sitatunga have adapted to this wetland. Birdlife is prolific and includes the scarce shoebill stork. Nyika Plateau, a beautiful highland plateau in the east of Zambia, on the border with Malawi. This is a most scenic area of Zambia, with undulating hills, stunning views, colourful ground orchids (November) and protea trees (May) are home to roan antelope and reedbuck. Predators are leopard, serval and hyena. There are some wonderful camps to stay in, in all areas and because there are fewer tourists, it is a relaxing place to travel. Its geography means that you can combine a visit to Zambia with Zimbabwe, Malawi or South Africa.